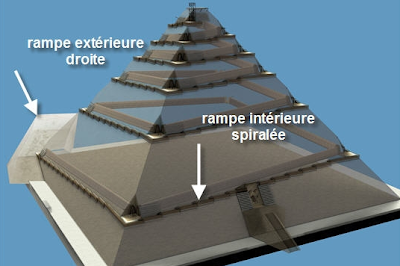 Architect Jean-Pierre Houdin believes a sealed space in Egypt’s Great Pyramid may have solved the centuries old mystery: How did the ancient Egyptians manage to move more than two million 2.5 ton blocks to construct the ancient wonder? And if you think the answer is “they built ramps,” just take this fact into account: if that was indeed their modus operandi, the the ramps they built would have had to have been 10X larger than the Pyramids themselves. Which is the equivalent of building a the Empire State Building to accommodate the construction of the Flat Iron Building.